Every day, people are battling a growing problem worldwide: prescription drugs abuse. This battle encompasses people of all ages, genders, creed and color. From the high school student stealing a parent’s prescription pills to older adults who excessively use painkillers due to chronic pain, nobody is immune from falling under the spell of prescription drugs. 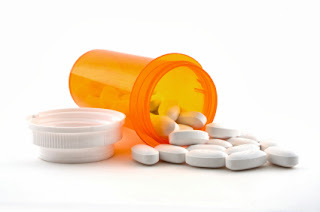 Prescription drug abuse can ruin lives and families. Most addicts do not act like normal people and this can cause relationship problems with spouses, children and parents – although it is not unheard of to have a secret drug addiction for a long period of time. Normal people can easily become prescription drug abusers after painful accidents, recovery from surgery, or while treating mental illness. When users cannot renew their access to a drug, they must find it in less than legal ways which can lead to dangerous encounters or arrests. Fatal overdoses are also growing. According to the Center for Disease Control, the rate of death from overdose has tripled since the 90s, and surprisingly, most of these deaths were caused not by common street drugs, but by prescription drugs that were misused. Knowing what types of drugs being abused is a great start to overcoming the problem. Painkillers are the most common prescription drugs that cause overdoses, although many types of prescription drugs are classified as Schedule II narcotics with great potential for abuse. Depressants, opioids, and stimulants are all commonly prescribed to help people who are suffering from many different illnesses, but they are also frequently abused. Valium, Adderall, OxyContin, and Codeine are four of the drugs with the most name recognition as abused, but there are countless forms of Buprenorhine and Oxycodone based medications that are dangerously misused. Another popular pain treatment drug is synthetic opiate, also known as an opioid. Codeine, commonly found combined with prescription cough syrup and Tylenol, is an example of this type of drug. Methadone, prescribed to aid a person during heroin withdrawals, is another example. Opioids resemble morphine in their chemical structure and in the way they affect someone who takes them. Over time, tolerance to synthetic opiates will develop and the patient or drug abuser will need to take more for the same effect. Being able to test and track excessive drug use is a starting point for recovery. It is important to recognize that many synthetic opiates do not show up in drug tests. Most drug tests only identify natural opiates, such as Codeine and Morphine, while synthetic opiates often go undetected. In order to properly test for prescription drug abuse, it is vital to use a test that will specifically identify commonly misused painkillers and prescription medications. When using a prescription drug, it is important to follow doctors’ instructions. These drugs are not meant for use outside of a prescription, and any use of these drugs without a doctor’s recommendation is classified as abuse. Please check back with our blog for the second installment on pain killer addiction, where we will go more into natural treatments and recovery.